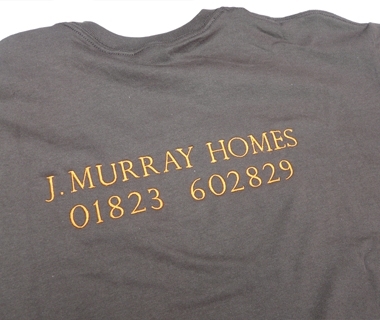 The hard-wearing clothing designed for J.Murray Homes, embroidered with their logo. 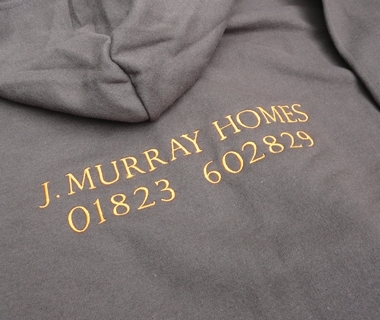 The reverse of the hard-wearing hoodies we designed for J.Murray Homes, embroidered with their brand colours. 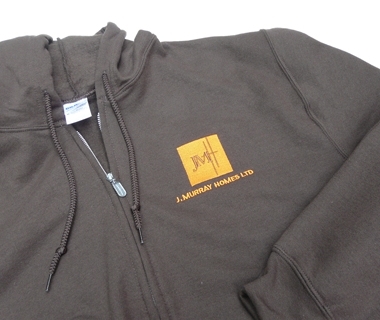 The hard-wearing hoodies designed for J.Murray Homes, embroidered with their brand colours. 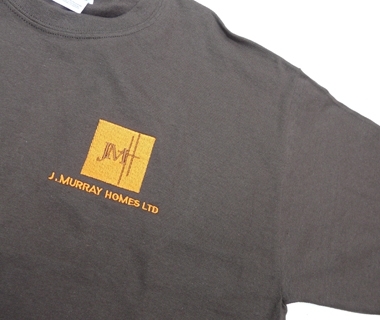 The front of the hard-wearing T-shirts we designed for J.Murray Homes, embroidered with their logo. The reverse of the hard-wearing T-shirts we designed for J.Murray Homes, embroidered with their brand colours.